The Poopsie Slime Surprise Glitter Critters Surprise is the magical slime surprise that spit or poop slime! 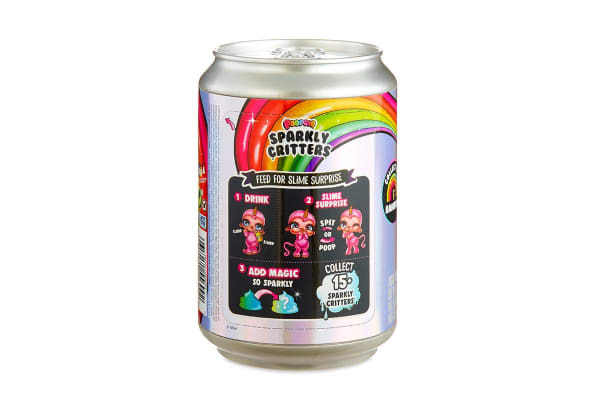 Pop open the sparkly soda pop can package and spin the inside chamber to unbox so many magical surprises! Each Sparkly Critter is an adorable animal with a sparkly unicorn horn! 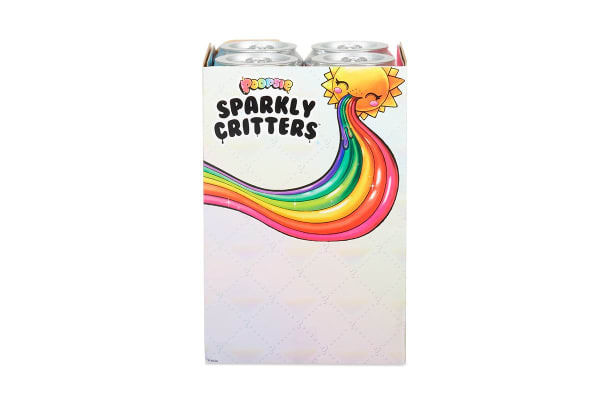 Feed Sparkly Critters water with their unique drink can to find out if they spit or poop slime! Transform slime by adding Unicorn Magic, Unicorn Shimmer and ultra-rare Unicorn Sparkle! 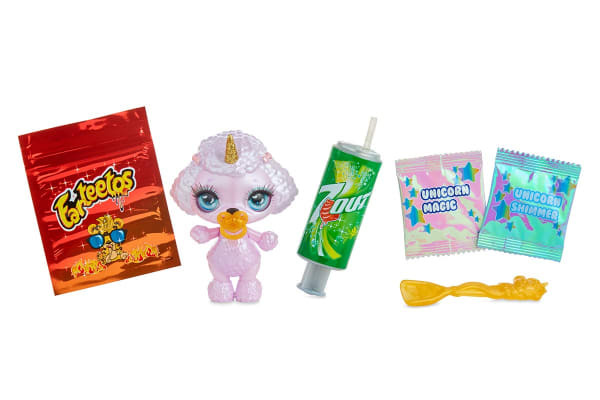 The Poopsie Slime Surprise Glitter Critters Surprise includes a resealable food-themed bag to store slime and take it on the go.